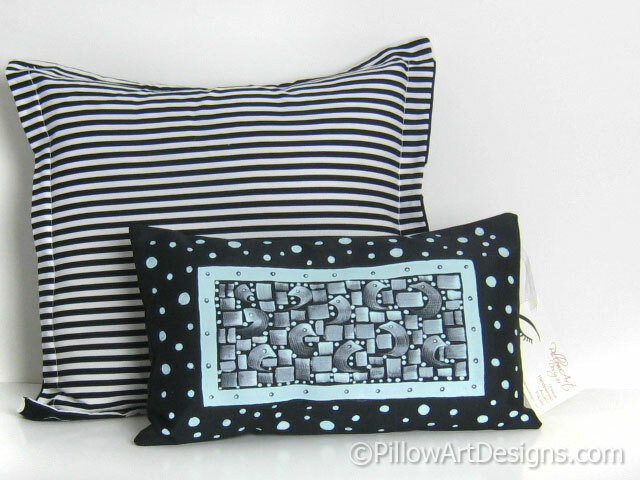 A cute little artistic accent to add interest to any space in your decor. Looks great perched on a shelf, chair or bench, even on a window sill. 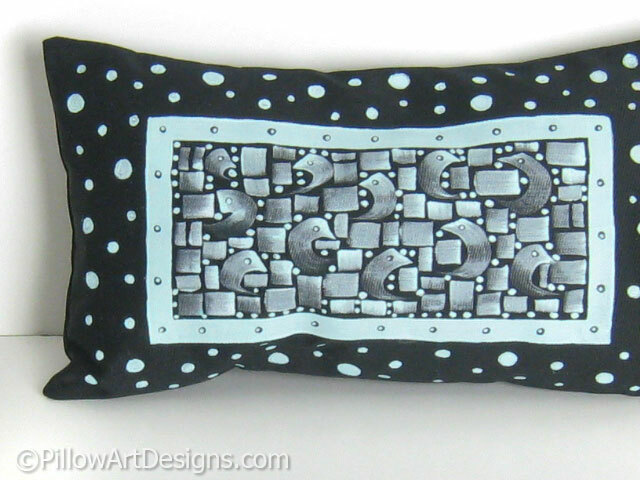 A great addition to a larger grouping of pillows and adds a unique spark of diversity to other artistic pieces. 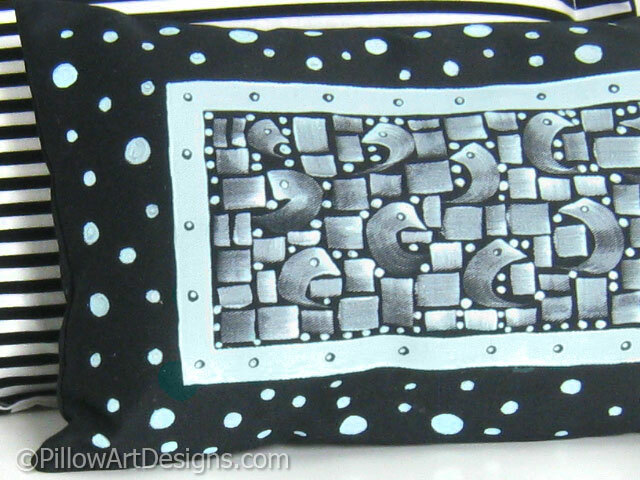 The abstract design is hand painted by me using mint aqua blue paint against sharp black cotton twill. 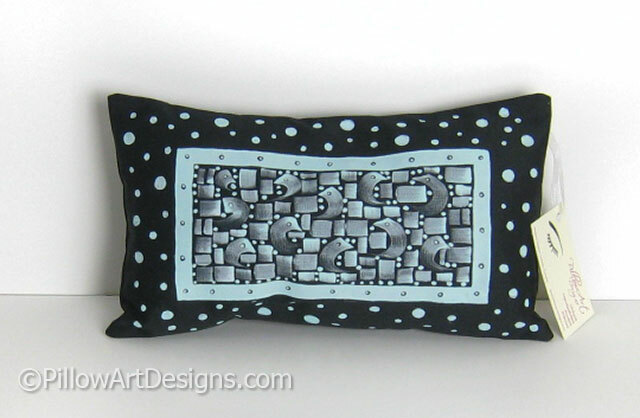 The geometric angular design is framed and surrounded by random dots of varying sizes. This is a one of a kind artistic accent that will brighten up any space in your decor scheme.